Two historically-significant structures in Los Angeles were temporarily granted a reprieve from the wrecking ball last month when both were approved by the Los Angeles Cultural Heritage Committee (CHC) to receive cultural landmark status as a Historic-Cultural Monument. One structure, the Charlotte and Robert Disney House, a craftsman bungalow that served as Walt Disney’s first Los Angeles residence and the location of his first animation and production facilities in the region, was recently being eyed as a potential tear-down property. A demolition permit was filed by the owner to remove the one story structure and garage to enable new construction. Located in the Los Feliz neighborhood, the house originally owned by Walt Disney’s uncle and aunt, and was used by the visionary storyteller as a temporary residence in the early 1920s when he first moved to the Los Angeles area. 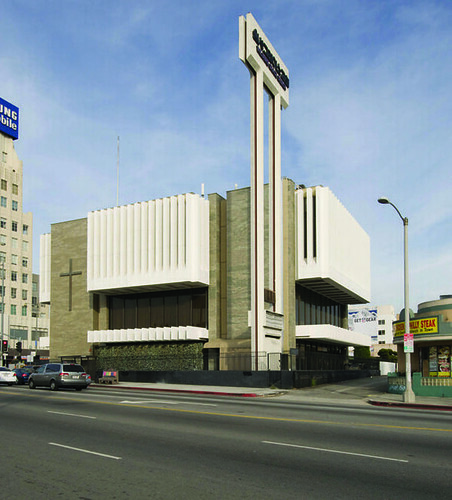 The structure was recently listed on the Los Angeles Conservancy’s preservation watch list, a designation that brought public attention to its impending demolition and helped convince the CHC to take action on the structure's nomination. Adrian Scott-Fine, director of advocacy for the Los Angeles Conservancy, credited a diverse partnership between activists and city officials for the preservation success, telling The Architect's Newspaper (AN) over the telephone, “The Disney residence represents another threatened building where the Department of City Planning stepped up to the plate and initiated the nomination process.” Community and political will toward preserving the vernacular structure was anchored by the cultural and symbolic importance of Disney’s work in that community and in Los Angeles at-large. A second structure, the midcentury modern Lytton Savings Bank building designed by Kurt W. Meyer in 1960 , has also cleared the CHC’s vetting process. That structure has been under threat of demolition to make way for 8150 Sunset, a Gehry and Partners-designed development proposed by Townscape Partners. The $300-million complex is organized as a pair of towers stacked above an articulated podium, rising between five and 15 stories above the city, on a site carved into multiple, leafy public plazas fronting the Sunset Strip. The design for 8150 Sunset was approved by the Los Angeles City Planning Commission (LACPC) in August and aims to add 249-units of market rate housing, 37 units of affordable housing, as well as 65,000 square feet of retail space. One problem: The developer’s preferred scheme calls for a blank site, wiped clean of the historic bank. The bank’s architectural features, a roof made of folded concrete plates and expanses of glass and stone, invigorated preservationists to make a case for the structure. Scott-Fine told AN that the Gehry project, as presented, would “unnecessarily demolish a historic cultural monument,” and that “there's a very clear way for this project to move forward while preserving the bank building.” The developers were prepared for this turn of events and presented various options for the development to the LACPC in an Environmental Impact Report, including several of which called for the preservation and restoration of the bank structure. The project has been controversial on multiple levels, with other neighborhood factions decrying the project’s density, height, and massing. The LACPC’s project approval itself was contingent on the developers boosting the affordable housing component of the project by nine additional units, from 28 units to 37 units. Regarding where preservation in relation to other complex urban issues like affordability, gentrification, and development, Scott-Fine told AN, “One doesn’t trump another, nor are they mutually exclusive. 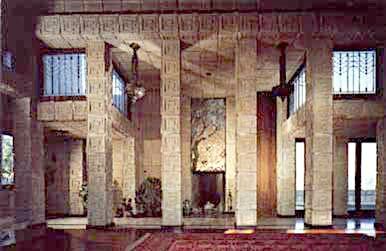 You can achieve multiple goals at once,” adding, "Starchitecture doesn't trump our heritage." Next, both of the structures will head to the City Council's Planning and Land Use Management (PLUM) Committee for final approval of their nomination status. So far, Townscape Partners have not issued a statement on the bank's nomination. As California's redevelopment agencies face possible extinction, one notable group has thrown its hat into the ring. 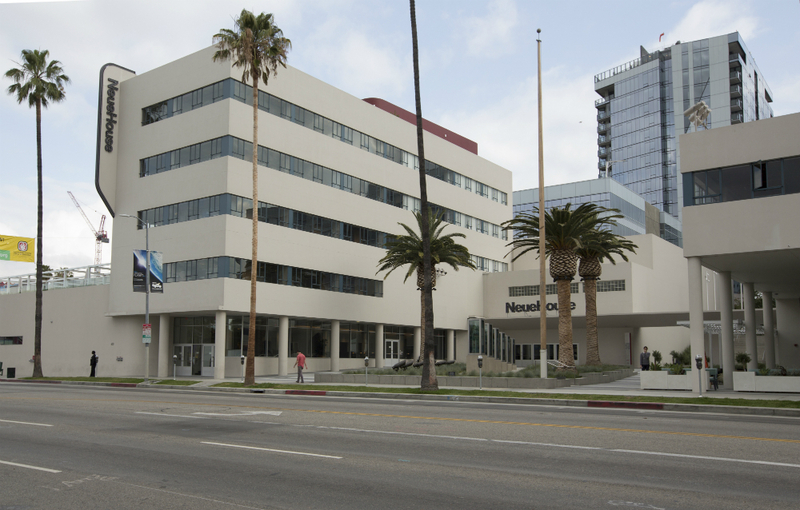 The LA Conservancy has announced that it will give its annual President's Award to the Community Redevelopment Agency of Los Angeles (CRA/LA) for "Its commitment to reusing historic structures—and promoting historic preservation" in its redevelopment plans. "We thought it was a timely way to recognize what they’ve been doing and their role in trying to foster strategic investments across the city," said Adrian Scott Fine, the Conservancy's Director of Advocacy, who pointed to the agency's help with, financing, surveys, and in some cases purchase of historic buildings to attract investment in historic conservation. Fine added that while redevelopment agencies have not always had a great relationship with preservation (think Bunker Hill), the Conservancy is against efforts to abolish all state CRA's. "It’s an essential function for cities to have the ability of a redevelopment agency to encourage, facilitate, and make projects happen that otherwise wouldn’t," he said. 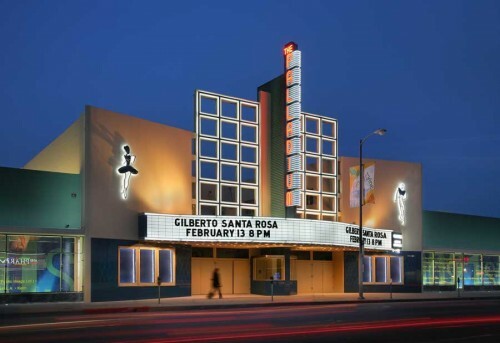 Recent CRA-supported preservation projects include the Hollywood Palladium, the Downtown Women's Center, and the still-pending Westlake Theater. 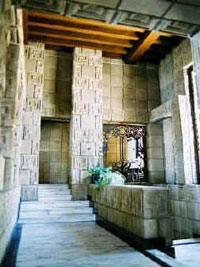 The Conservancy's awards will be handed out at LA's Millenium Biltmore on May 12. The California Assembly missed eliminating state CRA's by one vote on March 16, but the issue will resurface when the state works to approve its budget later this Spring. At the same time that Palm Springs is celebrating all things Modern at its Modernism Week, we just came across the pretty-much-completed demolition of Beverly Hills' 1961 Friars Club at 9900 Santa Monica Boulevard. 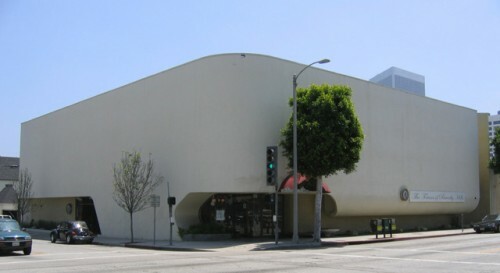 The windowless, space age Modern building, designed by Sidney Eisenshtat, was one of several important structures by the architect, including Temple Emmanuel in Beverly Hills, Sinai Temple in Westwood, and the Wilshire Triangle Center. 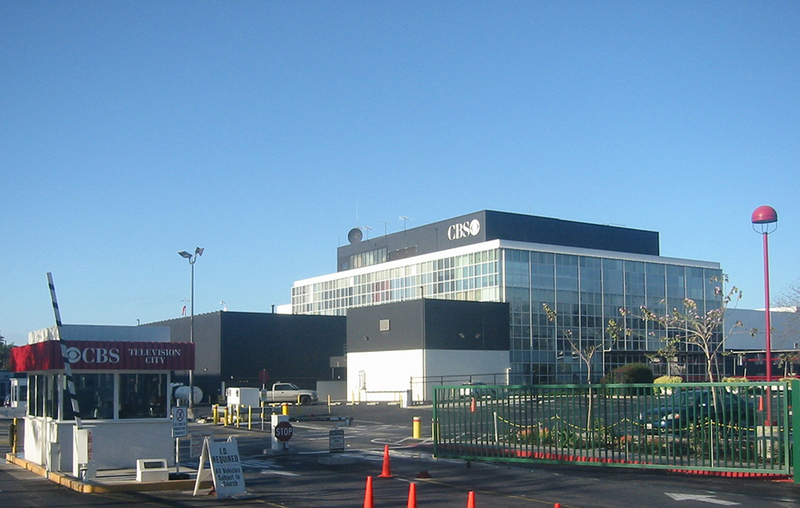 It was also the home of famous roasts by the likes of Jack Benny, Frank Sinatra, Milton Berle, Sammy Davis Jr. and Billy Crystal. "This is an important building by an important architect, and it will very soon be lost to us forever," said Scott Fine, director of Advocacy for the LA Conservancy. Despite being eligible for listing in the California Register of Historical Resources, it was unprotected because Beverly Hills has no protections for historic resources. That's right, none. Whatsoever. (love it or hate it, the building at least deserved a fair shot..) Meanwhile there are no immediate plans for a replacement building. So this will just be an empty lot for now. So much for a celebration of all things Modern in Beverly Hills, huh? 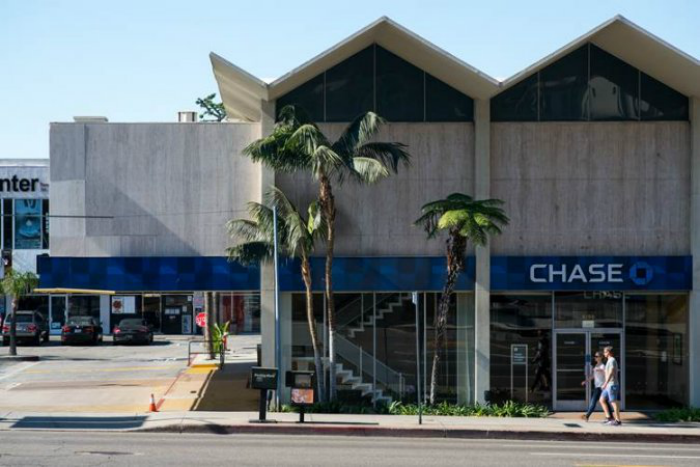 Curbed LA reports that LA's 1965 Columbia Savings Bank on Wilshire Boulevard, which we just discussed in our recent preservation feature, is now all-but doomed. On December 1 the city's Planning and Land Use Management Committee approved developer BRE's plans for a new apartment building on the site. BRE's six story development, designed by Thomas P. Cox Architects, would include 482 apartments and have about 40,000 square feet of retail. 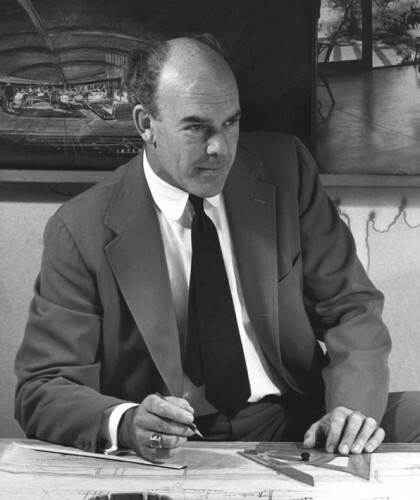 The LA Conservancy nominated the unique midcentury structure, designed by architect Irving Shapiro, for listing in the California Register of Historical Resources, but the nomination won't be heard until next year, which is too late. City council will vote on the BRE project's EIR tomorrow, but many sources say it's a fait accompli. Those who want to save it can go to the meeting tomorrow and speak out.